Giving something back to the community and getting behind worthwhile causes is something that we’ve taken very seriously ever since we opened the doors to the original Black Hops brewery in 2016. Recently we rolled out our Monthly Community Allocation program, pledging to raise between $500 to $1,000 each month in support of at least one community based cause or charity. We also promote it for the month via our social media and blog. To find out more, and see what other ways we’ve actively offered support and given a little back, head to our Community @ Black Hops page. This focus has also filtered down to a practical brewing level, in making ethical and informed choices in regards to our suppliers. Of course factors such as price and quality play a part in who we choose. But where possible we also try to support businesses or initiatives that strive to make a difference and give something back to the community, both here in Australia and also abroad. And Project Madagascar, with their outstanding track record in supporting those less fortunate, certainly fits that bill. Project Madagascar is an Australian community based educational aid and development project based in Toowoomba. Starting out in 2004, over the past 15 years they’ve been helping the people of the African island-nation of Madagascar rise up from crippling poverty and low living standards by delivering education and ‘self help’ life skills programs. 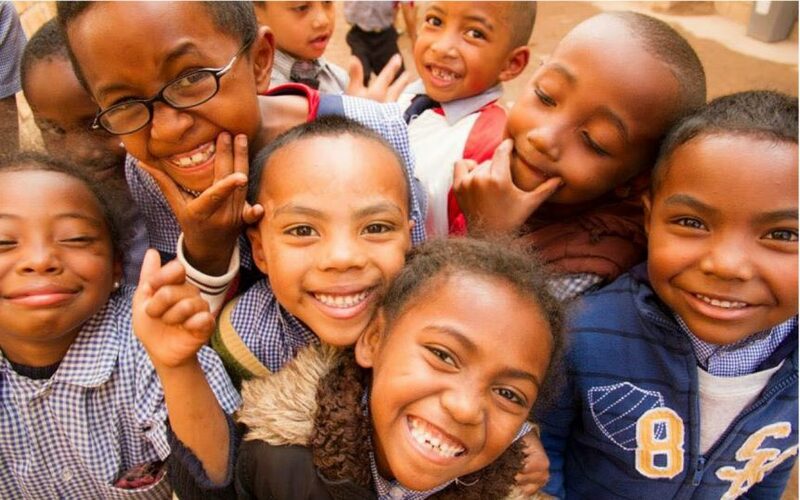 Madagascar is one of the world’s poorest countries and by investing in the future of its children, Project Madagascar have achieved amazing results in helping to break this poverty cycle and positively impacting many generations to come. Eggnog Stout is a beer close to all of our hearts. It’s the beer that kicked off the whole amazing journey into the world of brewery ownership that myself, Eddie and Govs have been on over the past few years. One of the key ingredients of Eggnog Stout is vanilla beans. When we brew a batch of Eggnog Stout, we add it to the tanks in the form vanilla pod powder (VPP), or VPP spice. And we purchase this ingredient directly from the Project Madagascar charity. Andreas Helwig, one of the driving forces behind Project Madagascar, developed VPP spice as a way of drying the vanilla pods without losing up to 40% of the crop during fermentation due to the presence of mould. VPP spice is formed by slow drying the vanilla pods with microwaves, which act as a mould spore killer and also a molecular stirrer to release more vanilla essence in the pod. The pod is reduced to 40% of its cured weight and then ground for convenient storage, which is how it comes to us, ready to go into the mix as part of our Eggnog Stout recipe. How has our support actively made a difference to Project Madagascar? By purchasing our VPP Powder through our chosen supplier, we are actively supporting the Project Madagascar charity, which uses the sale of VPP powder to fund their ongoing work in helping the people of Madagascar. We’re also getting our vanilla beans produced in a cost effective and efficient way. We asked Andreas how our support was actively making a difference and being put to use at a grassroots level. The money that’s raised in Australian dollars generally multiplies by 25 in purchasing power when it arrives in Madagascar! Helping fund school desks and chairs as each new grade starts. The big picture: what has Project Madagascar achieved so far? Project Madagascar has raised over $1 million AUD over the past 15 years to fund a range of programs and initiatives to help them achieve their goals. 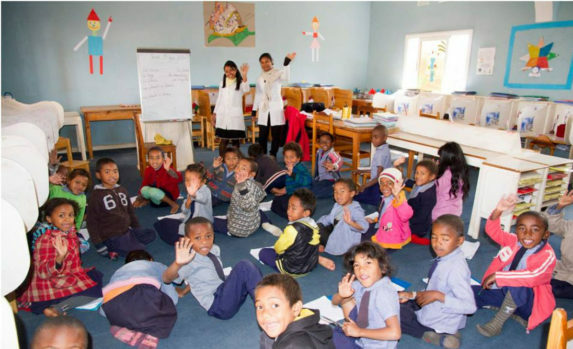 One of their biggest achievements has been the development of tri-lingual (Malagasy, French and English) curriculum that teaches students in all three languages from pre-school through until Year 12. This curriculum has been specially designed to support education outcomes in rural areas. 70% of Madagascan students belong to subsistence farming families, which has traditionally required students to be away from school for seed-time and harvest. 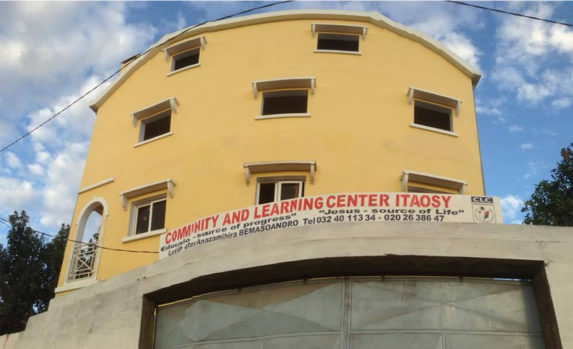 Two new schools/community learning centres have also been established in the poorest neighbourhoods of Antananarivo, the capital of Madagascar. Around one quarter of these students require supplementary meals every day due to the effects of malnutrition. Prior to the implementation of this new curriculum, most students only went to school until grade four before repeating and ultimately dropping out. Since the implementation of the multilingual curriculum, those students participating in the program have achieved pass rates well above the national average across all grades, and are quite accomplished multi linguists by the time they reach year 9. By the simple act of choosing an ethical, socially conscious vanilla bean supplier, we’re both getting an efficiently produced, quality product while also making a difference to the lives of some of the world’s most impoverished people. You can also read more at the Project Madagascar website. To find out more about our monthly Community initiative head to our Community @ Black Hops page.